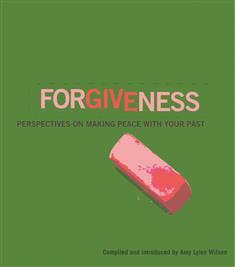 Go beyond merely forgiving and forgetting … and discover how to make peace with your past. "Like many of you, I've been dealt a few cards I do not think I deserved," writes Amy Lyles Wilson. "In response, I used to think forgiving and forgetting meant I had to act like I had never been wronged. The writers in this collection tell me otherwise. Forgiving, they say, does not require pretending you were never hurt. It does mean, however, that you'll need to make peace with your past to embrace the future." Learn how to genuinely free yourself from resentments and get on with your life through gentle guiding words from Henri Nouwen, Douglas Steere, Mary Lou Redding, Marjorie Thompson, Flora Slosson Wuellner, and others. What exactly is forgiveness, and what is it not? Should all hurts or offenses be forgiven? What do I do if someone refuses to forgive me? If forgiveness doesn't come easily to you, take heart. With practice, you'll learn how to let go and move on.